A lot of associations are now offering webinars as part of their continuing education process for both members and non-members. If the quality and the enduring value of the webinar allows for longer-term viewing past the live webinar offering, it makes sense to record the webinar and provide it as an “on-demand” option as well. For example, if one uses GoToWebinar there is the option of recording the webinar through their software and downloading it after it has been completed. This is preferable to retaining the hosting of the recorded webinar on GoToWebinar if you don’t intend to pay for the subscription continually. The quality of the recording isn’t hi-def but for most webinars it doesn’t need to be since the content consists of PowerPoint presentations and spreadsheets and the like – non-motion. Once you’ve downloaded the recording, there are a lot of options on how to provide it back online, but if an association is looking to charge for access to the recording, you’ll need the ability to provide it behind a login and password, to limit the amount of time it is accessible, and preferably to measure viewing. One option that is easy for associations to use would be Vimeo, which is a subscription-based video hosting service but easy to use for the novice and allows for a lot of flexibility in provision of the video. Depending on an association’s web site construction, it can be set up so that it becomes somewhat seamless – that a member or visitor can pay and then receive access to a password-protected page that will provide availability to the video. Businesses and other organizations will have to look at the Vimeo Pro level at a minimum, but that level offers plenty of storage and views and flexibility for hosting. For more details on using GoToWebinar, please visit their site. And for details on Vimeo’s video hosting, please visit here. 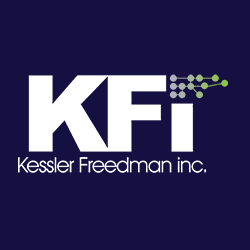 And if your organization would like assistance in providing on-demand webinars, please feel free to contact KFi.